As the tax season is almost in full swing and the last day to file such taxes just around the corner, many of us are left wondering exactly how our taxes compare to the rest of Americans all over the country. 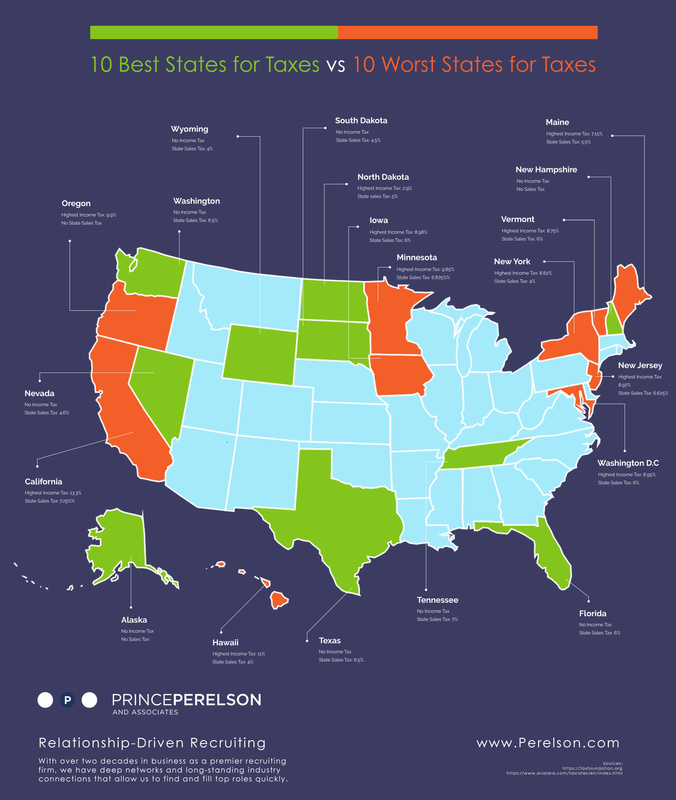 Read on to know the list of the top 10 best and worst states in the US when it comes to taxation burdens of sales and income tax. Gauging from the above statistics, it appears that the best state to be at is New Hampshire and Alaska. If you reside in any of these 10 states mentioned, you are lucky. Most of these states do not charge income tax, with the highest charging only roughly 3% which is in North Dakota. Sales tax is at its highest at 7% which is in Tennessee. If you live in these states, you can rest assured that basic commodities cost less than anywhere else in the country. This means, you get to take home your entire pay without any deductions if you happen to reside in these states as Florida, Texas, Washington, Tennessee, Nevada, South Dakota, Wyoming, Alaska, and North Hampshire. As per the figures above, the highest income tax is in California which is pegged at 13.3%; Hawaii comes next at 11%, Oregon at 9.9% and lastly, Minnesota at 9.85%. Sales taxes are its highest at California at 7.25%, Minnesota at 6.875% and New Jersey at 6.625%. It is very easy to understand why the cost of living in these places is just too high! It can be gleaned from the data above that the common denominator among several of these states is that there are many of them that do without one or more of these major taxes: income tax, sales tax, or the corporate income tax. Nevada, South Dakota, and Wyoming do not impose any individual or corporate income tax, Alaska does not have any sales or income tax, Florida has zero income tax too, and states such as Oregon, Montana, and New Hampshire does not charge any sales taxes. A careful perusal of the 10 worst tax performing states, you will notice that most of them impose income tax with progressing rates, this transfers the burden to the working class who are contributing more to our economy, working hard, but still unable to get out of the rat race. Bottom line is that taxation does matter. Take a closer look at the state and national data. We will close this by sharing with you a map of the report. Orange is the worst states and Green is the best ones. Did your state make it to the list?